Samantha Lockwood (Shoot the Hero and Mexican Gold), Cindy Pickett (Ferris Bueller's Day Off and St. Elsewhere), Camren T. Burton, Quintus McDonald (Pro Football player with the Indianapolis Colts), Parris Mayhew (Director of Onyx's 'Slam" and Founder of the Cro-mags), and Jason Genser join us to talk about Star Trek Equinox. Star Trek Equinox: The Night of Time is a story told by actor John Savage to a room filled with lucky Star Trek fans turns out a script that some Star Trek veteran cast and crew have called “The best script we have read in 10 years!”. 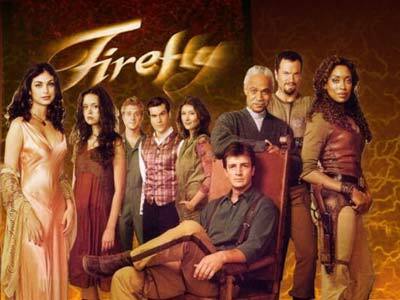 With Executive Producers in place, this INDEPENDENT production will be shot in 2014 in order to show the Star Trek community what episodes of Star Trek Equinox will look like. Star Trek Equinox: The Night of Time stars acting veteran John Savage, reprising his role as Captain Rudy Ransom, iconic actor Gary Lockwood reprising his popular role of Gary Mitchell, best friend of James T. Kirk, in the classic Star Trek episode, “Where No Man Has Gone Before“, and introduces Blanca Blanco as Lieutenant Commander T’Lexa. Fifteen years after the destruction of the USS Equinox (approximate star date 2393) Captain Rudy Ransom, who was beamed from his doomed ship by the Krotownans, is held prisoner in the Delta Quadrant for crimes against the race including trespassing in Krowtownan space and the deaths of Krowtownan starship crew members. Captain Ransom has very few choices but one chance to return to the Alpha Quadrant some 30,000 light years away. Travis rates his fill-ins, we sweep across New England, and check out James Lipton's list of collective nouns (he's some kind of authority on them, it seems!) Plus more travia, more news, and some 90-inchers! It's a new Dan & Travis Show.Check out all the fun of past episode by visiting them on the web. The Chronic Rift rumbles back to life with an interview with one of the masters of undead storytelling - Jay Smith. Jay talks with John about the release of the novel based on his Parsec Award nominated audio work, The Diary of Jill Woodbine. He talks about what went into making the novel, the development of it as a Kindle work for Amazon and his reasons for making it available now. Take a listen to the podcast and then head on over to Amazon and get your copy today. Pick up a copy of The Diary of Jill Woodbine via our Amazon store. In doing so, you not only support Jay but you also support the podcast as well. Thank you. 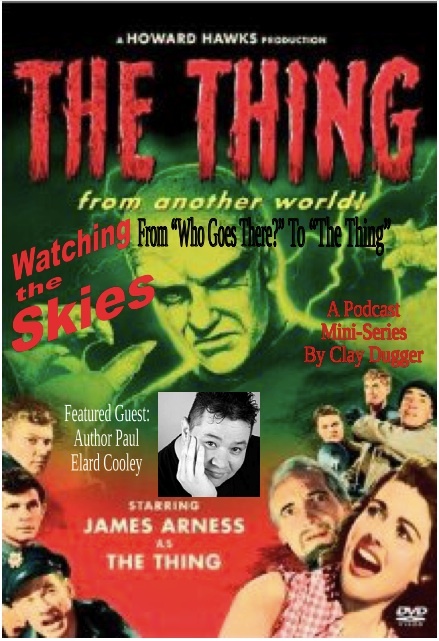 I am Clay Dugger, The Podcast Cowboy, and I want to welcome you to the third episode of Watching the Skies: From “Who Goes There?” to “The Thing”. This five episode mini-series will explore “Who Goes There?”, the wonderful story by John W. Campbell, Jr., and all the great entertainment that it has spawned. In this episode, I am joined by my good friend Paul Elard Cooley. He and I discuss the John Carpenter 1982 movie, “The Thing”. This is one of the modern day Horror classics. The podcast I have with my wife, “This and That with Him and Her (and sometimes It)”, can be found on the Chronic Rift Network. Go to http://chronicrift.com. You can find my audio adaptation of “Who Goes There?” at http://mustbenicestudios.podomatic.com. Comment on the episode here or write john@chronicrift.com. Take a moment to rate the episode by using our star system at the bottom of this entry. 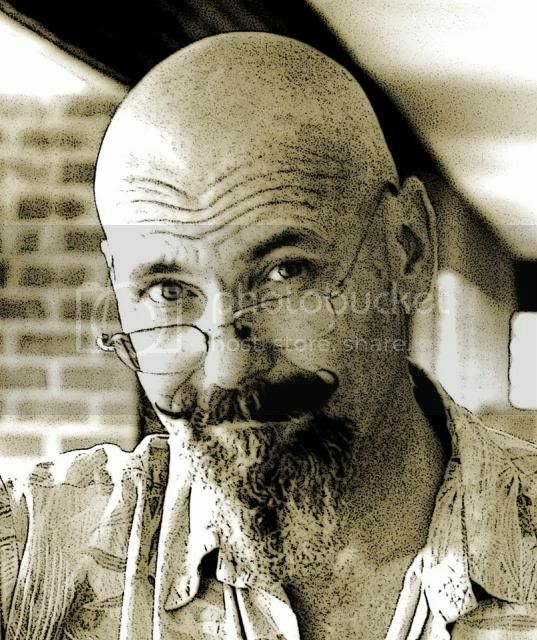 Paul Elard Cooley is a Houston, Texas author who writes historical fantasy, psychological thrillers, Science Fiction, and gritty puppet noir. Don’t ask. 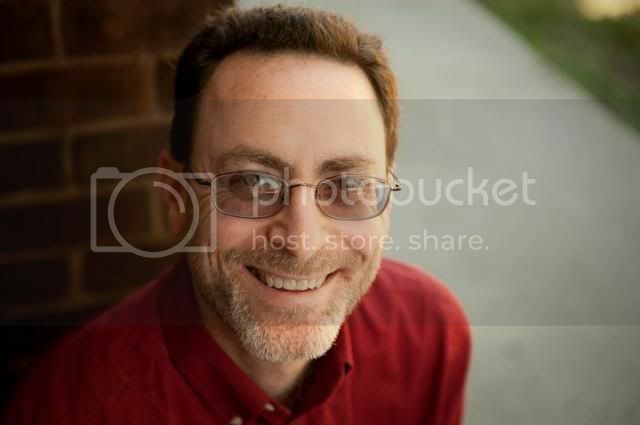 Paul has several of his own books available and has collaborated with New York Times Bestseller Scott Sigler. You can find Paul’s fiction and essays on the topic of creating over at https://shadowpublications.com. Travis returns and regales us with tales of life as a married man. Plus, there's a new round of DAN THE MAN, a new RUSH TO JUDGEMENT segment, the news with Travis, and the premiere of a new segment - MAY I SUGGEST. It's a new Dan & Travis Show.Check out all the fun of past episode by visiting them on the web. 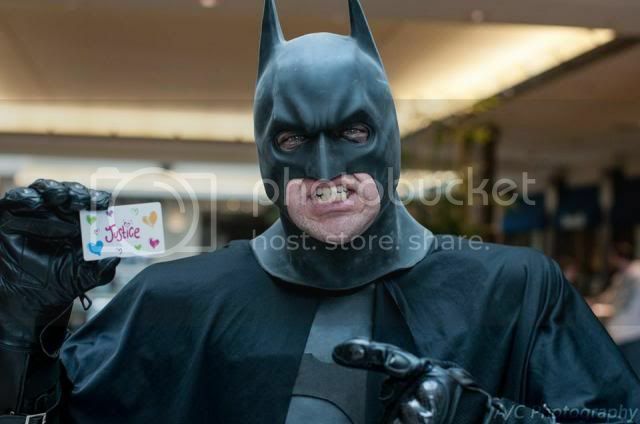 Travis recaps three weeks of wedded and homeymooned bliss. 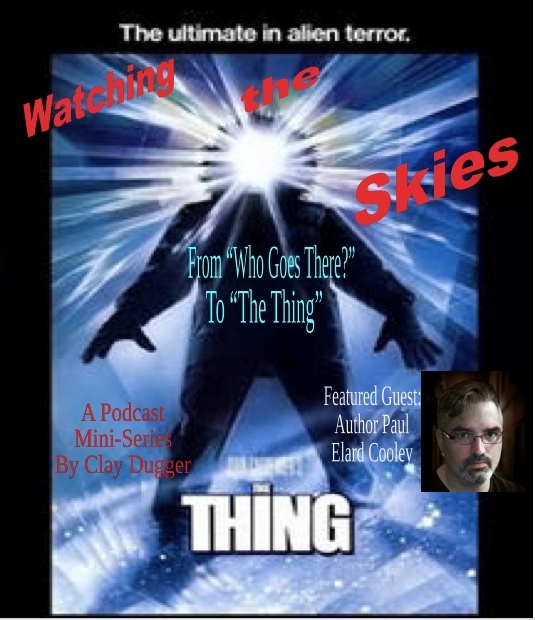 I am Clay Dugger, The Podcast Cowboy, and I want to welcome you to the second episode of Watching the Skies:From “Who Goes There?” to “The Thing”. In this episode, I am joined by my good friend Paul K. Bisson. He and I discuss the classic 1951 movie, “The Thing from Another World”. This is one of the first “space monster come to Earth” flicks that ruled the 1950’s. Paul K. Bisson is the narrative voice of The Food Network’s “Restaurant Stakeout”. He has also been interviewed for the Time-Life “Six Million Dollar Man - The Complete Collection” DVD set. 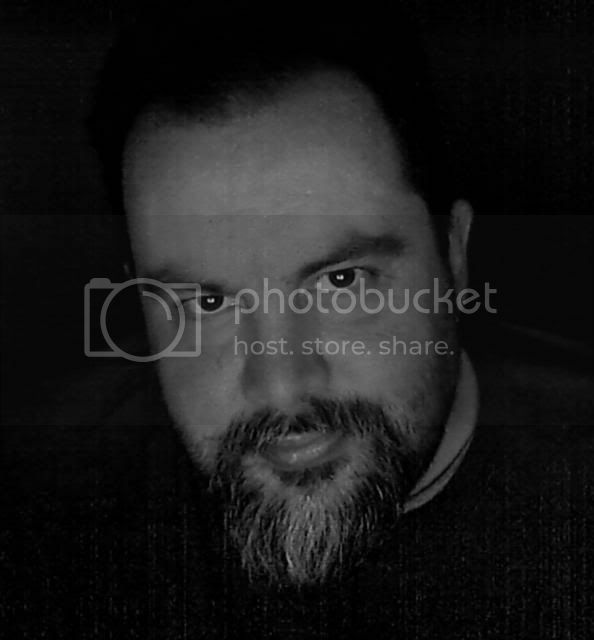 Paul is the co-creator of “Cyborgs: A Bionic Podcast”, found on The Chronic Rift Network. You can find Paul over at www.bionicfans.net and www.abionicpodcast.com. For a poor kid growing up in Boston (where there wasn't much to do except watch TV or go outside and find trouble), they were doorways into the worlds of science fiction, fantasy, horror, and comics. And they remain the cornerstones of Paul K. Bisson's inner Fanboy. 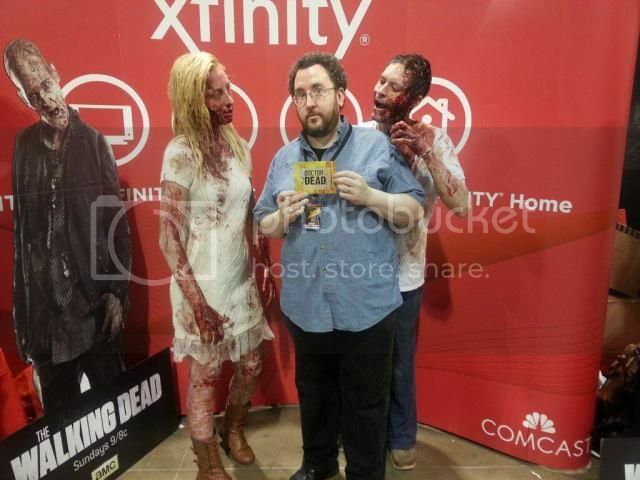 Today, Paul is an actor, writer, independent media producer, and all-around Geek. 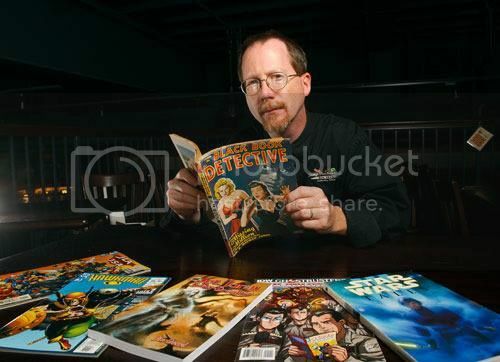 He still collects comics (mostly DC and definitely Wonder Woman), he founded the member-rich Bionic Fan Network (http://www.bionicfans.net) and an ambitious online Bionic encyclopedia, The Bionic Wiki (http://www.bionic.wikia.com), he's the webmaster of The Omen Chronicles, the only fansite devoted to the Omen film series (http://www.omenchronicles.com), and he's co-host and co-producer on Cyborgs: A Bionic Podcast, (http://www.abionicpodcast.com) a mostly twice a month podcast looking at each and every episode of The Six Million Dollar Man and The Bionic Woman. It's double your pleasure, double your fun as The Weekly Podioplex offers two weeks worth of movie and DVD release offerings. First up though, it might be a new address, but enough people found 22 Jump Street to make it the number one movie at the box office this weekend. But will the next two weeks of release offerings make it a one week hit wonder? 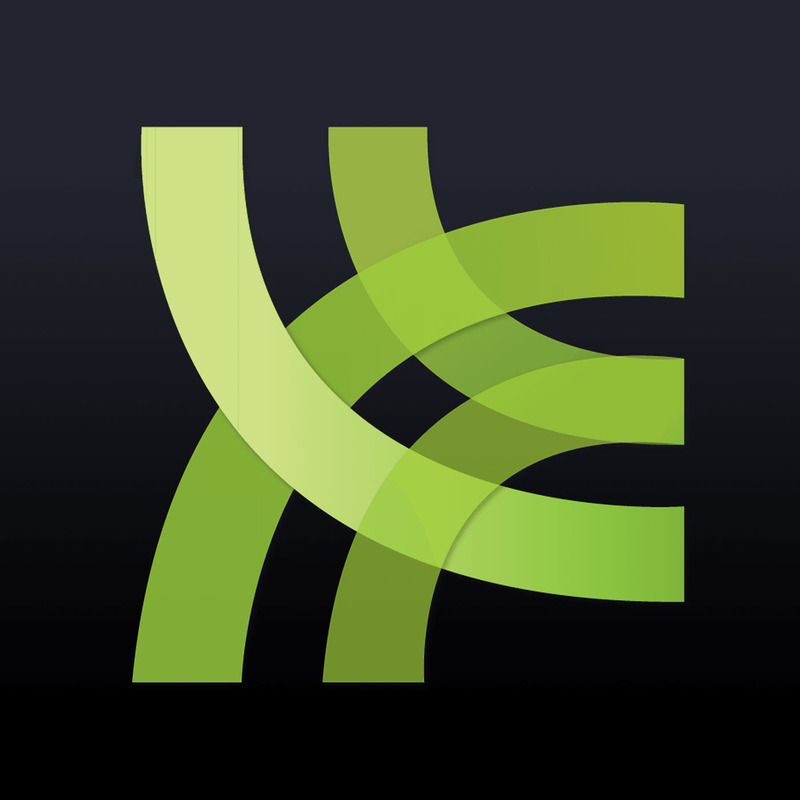 Michael Falkner has this and more on a new The Weekly Podioplex. Handsome Timmy Davis fills in for Travis this week and speculates on how Travis is living as a married man. The two discuss the sad, late mourning of the late Rue McClanahan. There's also news from Tim and some archival material from the Pirate Ship days. It's a new Dan & Travis Show.Check out all the fun of past episode by visiting them on the web. 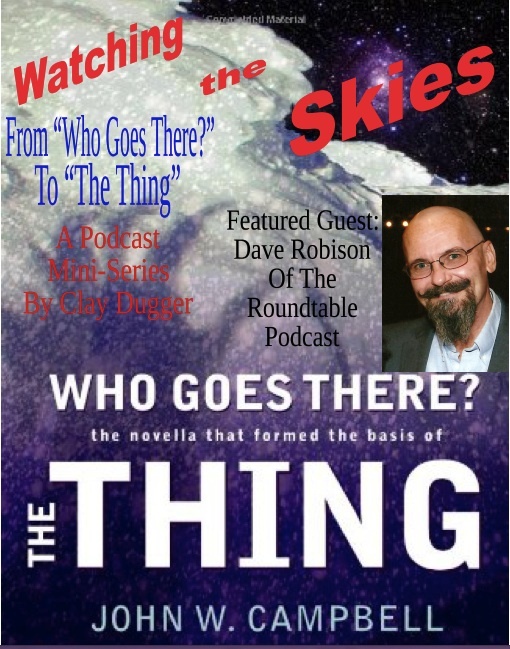 Join THIS AND THAT WITH HIM AND HER host Clay Dugger as he explores our fascination with the unknown as explored from the novella "Who Goes There?" by John Campbell to the movie versions known as THE THING. This five episode mini-series begins with a discussion of the story that started it all. In August of 1938, Astounding Science-Fiction published John Campell's novella, "Who Goes There?" A group of researchers in Antarctica locate a spaceship that has been embedded in the ice for 20 million years. They recover the alien pilot and the story unfolds from there. Each episode of the podcast will feature a different guest host to look at a different aspect of this growing phenomenon. Joining Clay for the first podcast is Dave Robison, host of the Roundtable Podcast. Dave Robison has indulged in creative pursuits his entire life. His CV includes writing Curious George fan-fiction at the age of eight, improv theater at age ten, playing trumpet at age twelve, as well as a theater degree, creating magazine cover art, writing audio scripts, designing websites, creating board games, hosting mythological roundtables and generally savoring the sweet draught of expression in all its forms. His years of exploration give him a unique, informed, and eloquent perspective on the art of storytelling. 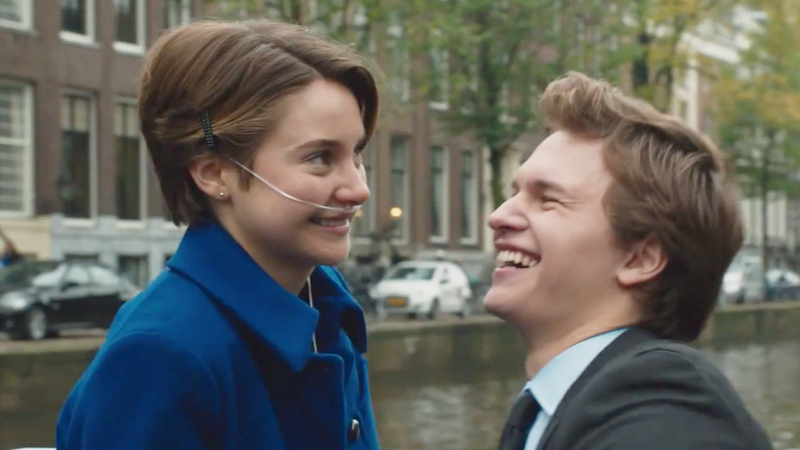 The fault didn't lie in The Fault in Our Stars at the box office weekend. 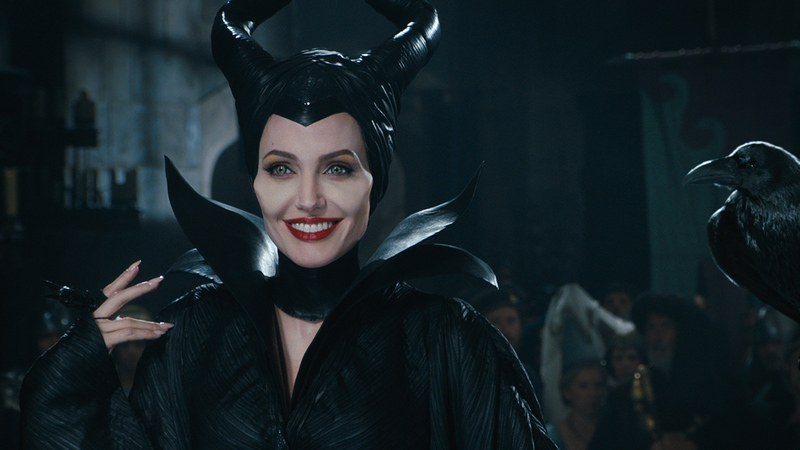 The drama easily beat Maleficent to take the top of the box office. Find out this and more as Michael Falkner hosts the third anniversary edition of the Weekly Podioplex. In this Case File, John and Paul sit down and talk with actor Tom Schanley. To bionic fans, he played Michael Austin in The Return of The Six Million Dollar Man and The Bionic Woman, but there is so much more as John and Paul discover in this interview. We talk about his desire to be an actor and his family support, his first roles, and his Six Million Degrees of Star Trek Separation besides his obvious appearance on Enterprise. It all started 30 miles north of Boston, in the quaint New England coastal town of Manchester, Mass. 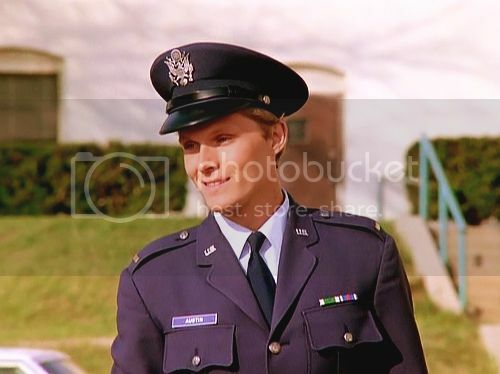 At a young age, despite a loving family, proper upbringing and a good education, Tom Schanley decided to become an actor ---- Three defibrillator charges later, his parents threw their support behind him and the journey began. That journey took him to school in New Hampshire, San Diego, England and finally the acting program at USC, where during his junior year, he landed his first professional role as Whit Champion, on the NBC drama series "The Yellow Rose." After college, Tom continued studying acting with some of the best in the business: Vince Chase, Stella Adler, Winn Handman, and Roy London, to name but a few. His body of work grew as well, including the television movie "The Alamo - Thirteen Days To Glory" with Alec Baldwin, the starring role in "The Return of the Six Million Dollar Man and the Bionic Woman," and stints on shows with shorter titles like "Fame," "Dynasty," "Melrose Place," and "Lonesome Dove." 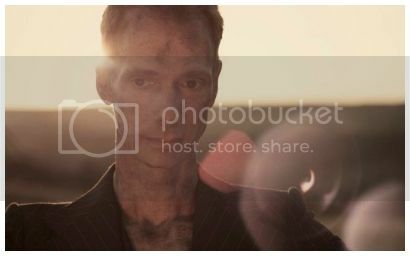 (He sang "country" on Fame, ladies). Feature films were also on the menu. Among them, "Fever Pitch," directed by the legendary Richard Brooks, "Red Rock West" (there's a story behind that one), "Courage Under Fire," directed by Ed Zwick, starring Denzel Washington and "Conspiracy Theory," starring Mel Gibson, among others. Tom continued to exercise his theater chops as well, with notable roles in the award winning "Getting Out," at the Cast Theatre, "The Wager," at the Colony Theatre and as Mark Antony in the critically acclaimed LA Shakespeare Festival production of "Julius Caesar." Tom also spent eight years with the comedy improve troop WITHOUT A NET. Then came the new millennium, and with it Tom's "multi-hyphenate" status. 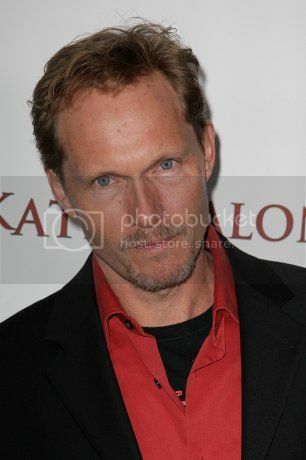 Alongside friend and actor Jon Lindstrom, Tom wrote and Executive-Produced the feature film "The Hard Easy," starring David Boreanaz, Vera Farmiga, Henry Thomas, Bruce Dern and Peter Weller. Their second script, "Head High" is currently the subject of a bidding war at two major studios - OK - "should" be the subject of a bidding war, or so they think. Tom has a number of solo projects in the pipeline as well. Among them, the un-romantic feature film comedy "Dating Tammy," and the TV pilot "Tee Time." "Saying" the lines however, is still Tom's first love and priority, and the past couple of years have offered plenty of that: "Dexter", "Criminal Minds", "Without a Trace", " The CSI'S", "The Forgotten"..... (and a really cool puppet show in Venice Beach). Tom happily resides beach-side, Santa Monica, CA. Stay tuned. Keith reads a selection from his recently published, The Klingon Art of War, his first published Star Trek work in recent years. The Dan & Travis Show: Episode Zero-Two-Eight - We Have an Urning for Soccer! Gabe fills in for Travis on Show 028, and spouts soccer and we urn our keep. Plus, more classic Dan & Travis clips from the days of yore! It's a new Dan & Travis Show.Check out all the fun of past episode by visiting them on the web. Maleficent cast quite the spell at the box office this past weekend, but does it have enough magic to hold that place as we move into the June box office season? There's so big news for Marvel and other franchise movie properties. Michael Falkner has this as well as new TV-on-DVD releases and more on a new Weekly Podioplex. 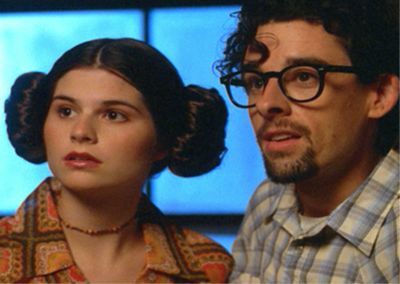 George Lucas in Love is an independent, live action, parodical short film that started attracting notice in June 1999 when it was passed around Hollywood offices as a filmmaker's "calling card". The film was directed by Joe Nussbaum, a University of Southern California graduate. In the film, George Lucas is a USC college student in 1967, and he's suffering from writer's block as he tries to write a movie about a young space farmer with a bad crop of "space wheat". Everywhere he goes, viewers see classmates and teachers that either resemble, or will influence the creation of, Obi-Wan Kenobi, Darth Vader, Han Solo, Chewbacca, Jabba the Hutt, R2-D2, and C-3PO. Lucas is surrounded by inspiration, but he sees nothing. Not even his advisor, who looks and speaks suspiciously like Yoda, is able to help him. Eventually, young Lucas meets his muse, a young woman (with a very unusual hairdo) named Marion who is "kind of leading a student rebellion". After they meet, everything falls into place for Lucas, as she urges him to "write what you know." His writer's block dissipates and he quickly finishes his masterpiece. However, his shot at romance with the girl is blown when he discovers she's his sister. In a post-credits scene, a depressed Lucas gets a new idea when his neighbor introduces Lucas to his new pet... a duck named Howard. Joe Nussbaum is an American film director. A graduate of the University of Southern California, he got his break into the movie industry by passing around Hollywood offices his short film George Lucas in Love. The success of the film eventually got him a deal with Dreamworks, and he has since directed films such as the 2004 production Sleepover, the 2006 film American Pie Presents: The Naked Mile and the 2007 film Sydney White starring Amanda Bynes. His latest project was the Walt Disney Pictures film Prom, starring Aimee Teegarden and Nicholas Braun. He currently is working at MTV writing for and occasionally directing “Awkward." Joe grew up in Saint Louis Park, Minnesota—a suburb of Minneapolis—through junior high school. At the age of twelve he received a camcorder and proceeded to write and make films without an editing machine. When he started high school the family moved to Brighton, New York—a suburb of Rochester. 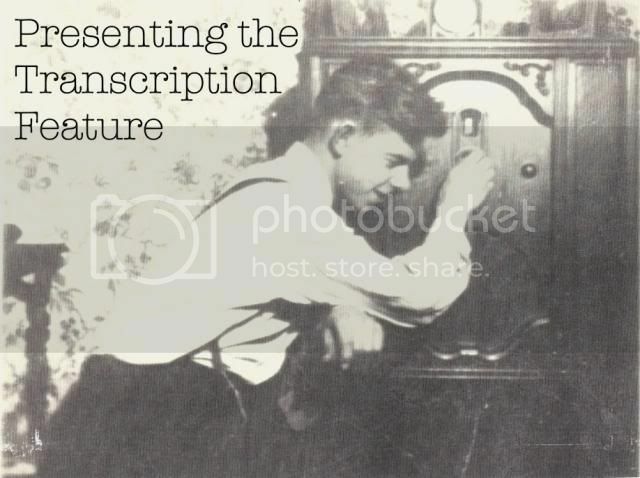 While in high school, he turned the morning announcements into a closed circuit television program. He also acted in high school plays and one at Nazareth College. His parents are Daniel II, a retired developmental pediatrician and Alice née Rosenthal, a Jewish educator and internationally known Judaic needlework designer. His paternal grandfather was born in Germany. His maternal grandfather and paternal grandmother were born in Ukraine. His maternal grandmother's family probably came from northeastern Europe, but they have lost all their immigration data. As a youth, Joe was active in haBonim, the labor Zionist youth movement. He spent many summers at their Camp Tavor in Three Rivers, Michigan, and a year on Kibbutz Urim in Israel. "Ethics" - A Russian satellite comes crashing down in upstate New York. 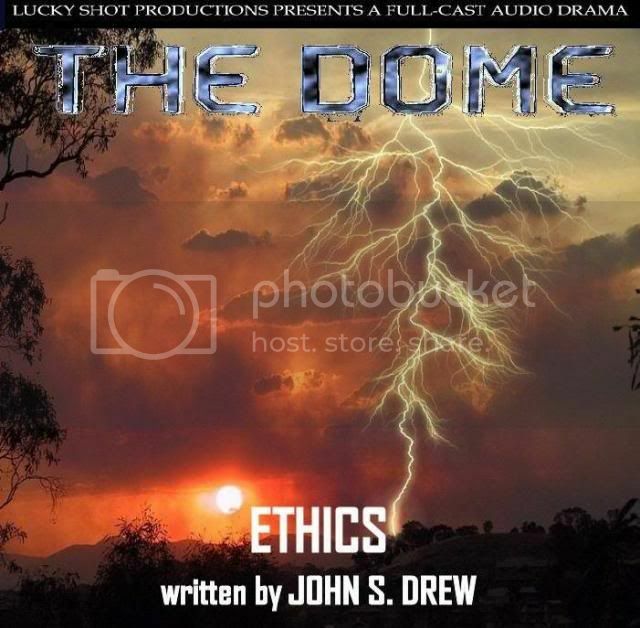 Its contents hold a special interest to the members of the Dome. A paranormal with electrical manipulation abilities was on board the satellite, sleeping in a cryogenic state for over thirty years. The crew must find him before he is found by the U.S. government or the Russian Mafia. 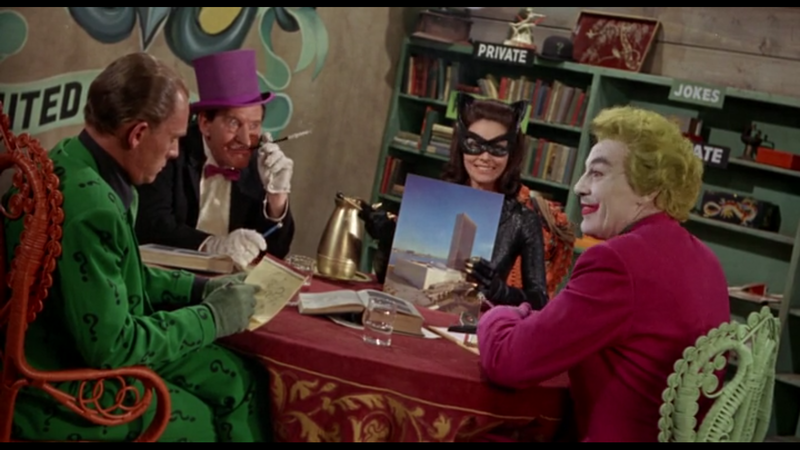 In addition, they have to come to terms with their trust of a new administrator who appears very mysterious to them.